The Warmest Softshell You Can Find Anywhere! 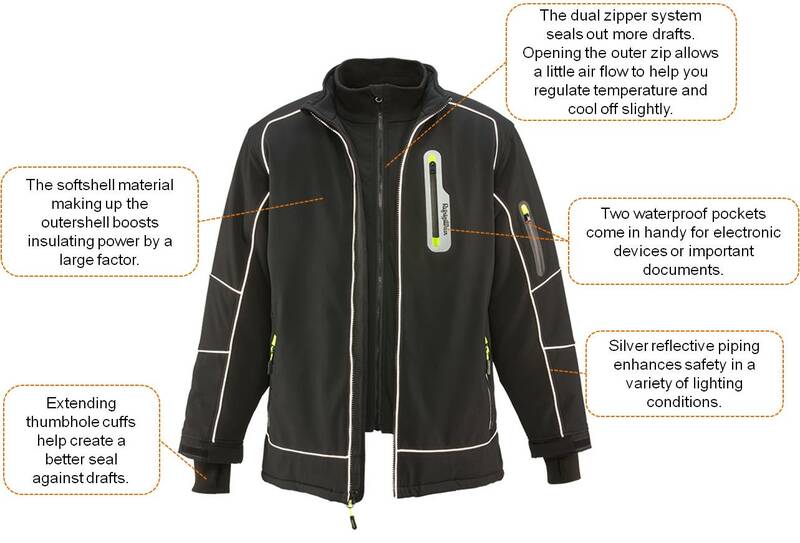 RefrigiWear has taken our Softshell Garments to the next level – Extreme Softshell. With a comfort rating of minus 60-degree Fahrenheit (-60°F), the Extreme Softshell Jacket and Extreme Softshell Bib are the warmest softshells you can find anywhere. With any insulated clothing, you have to start with what's underneath to understand it's insulating power. With our Extreme Softshell products, we integrated over 300g of simulated down polyester insulation and micro-fleece inner shell. Yet what's inside doesn't tell the entire story. The outer softshell material is a 100% polyester, comfort-stretch microfiber that is waterproof, windproof and an extra layer of insulation while still remaining breathable for maximum comfort. 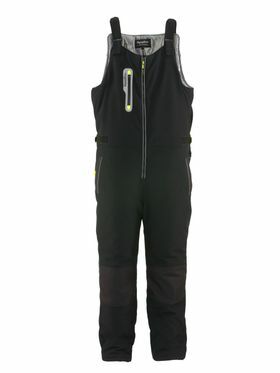 In total, the garments offer over 500g of insulating power from the cold. 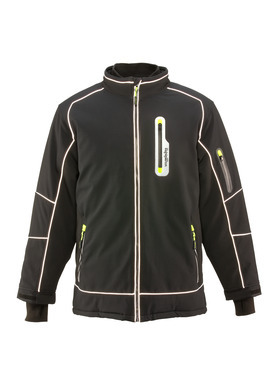 Softshells are more stylish and form fitting than many heavier, bulkier jackets. The freedom of movement provided by Softshell is why they are popular options for working in cold conditions as well as for activities such as hiking, golfing, skiing or snowboarding. Our Extreme Softshell provides the most protection against the cold because of its insulating power, yet you don't lose these common benefits of all softshell garments. On top of which, we added 2 waterproof pockets as well as 3 other fleece-lined pockets to give you ample storage space as you remain active in colder environments. Anyone can make a jacket, but it takes RefrigiWear's decades of experience from outfitting cold-environment workers to integrate features to ensure your total warmth. For example, our Extreme Softshell Jacket includes many elements to seal out warmth-killing drafts. The extending thumbhole cuffs create more of a seal at the end of the sleeves, and the jacket also features a dual-zip front to protect from drafts while providing a system to help regulate temperature. Another draft protection feature is the inner waist seal, which can be buttoned at the front to create not only a seal from drafts but also a seal out snow (like a traditional snow skirt). RefrigiWear knows cold. We have developed products for cold environment workers and consumers for over 50 years. Our Extreme Softshell Jacket and Bib represent the top of the line with minus 60-degree protection and stylish looks--all at a price point that you won't find at big retailers or with much more commercialized products.